Flour tortillas aren't something I'd ever thought of making since you can buy them in just about every supermarket across the land. Plus I would never have thought I actually could make them look authentic. 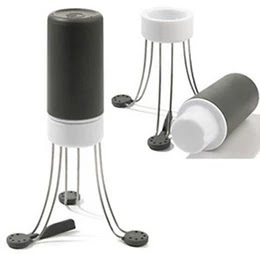 So when I was asked if I'd like to review a couple more items from KitchenCraft browsing through their website, I fell in love with this World of Flavours Mexican Ceramic Tortilla Warmer - just look at the colour of this dish it's amazing. Low and behold, displayed right next to it was a Tortilla Press, now I just knew needed one of those too! Saturday afternoon saw me busy in my kitchen making tortillas and yes out came the mixer! 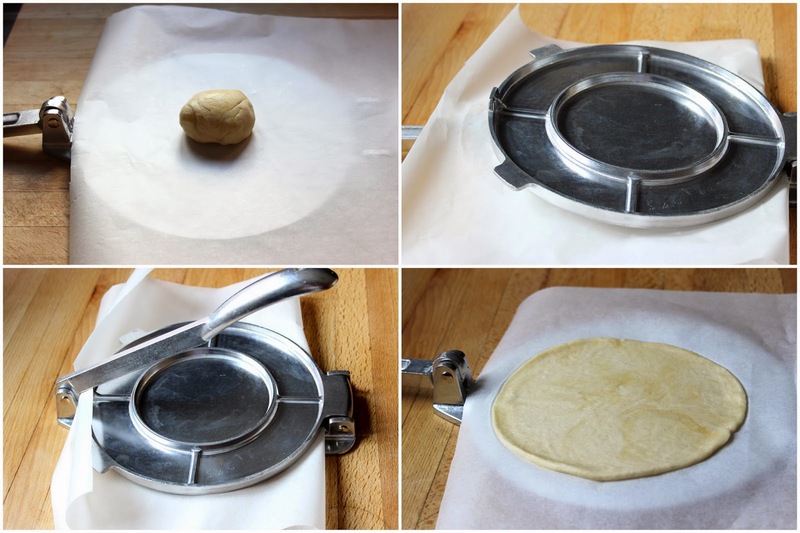 The Mexican Tortilla Press is really easy to use and I discovered that they come out best if you lay a sheet of greaseproof paper between the dough and the press. Now, it has to be said these tortillas did take a bit of practice to get the size right and the although the press got them a nice perfect round shape, they were still a little bit too thick for my liking. So I did give them a quick roll with a rolling pin, nothing to tricky and I'd have never got them this evenly round without the press. So where did I get this lovely recipe from? Well after much trawling the net most recipes used lard - now I don't know whether that's right or wrong but personally I didn't like the sound of it. Then I came across this marvelous website and followed their brilliant recipe - they tasted every bit as good as shop bought tortillas too. 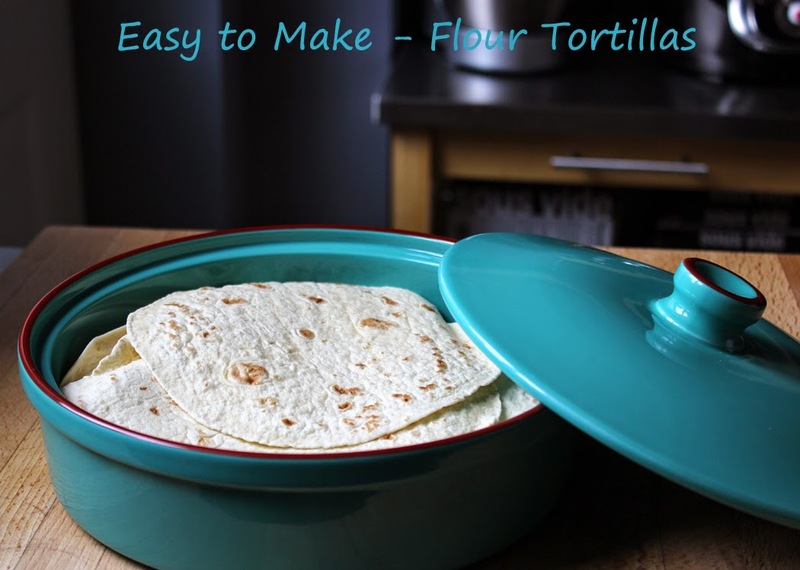 I think you'll agree these tortillas really look the part and as I said before, using a tortilla press makes them the perfect shape which I couldn't achieve using a rolling pin alone. I converted the recipe into metric and it works out 480g plain flour, 1 teaspoon of salt, 1 teaspoon of baking powder 85ml vegetable oil and 250ml water. I divided mine to make 10 and not 16 tortillas. Going back to the beautiful KitchenCraft Tortilla Warmer it's oven proof up to 150C/300F or Gas 2 and is dishwasher safe. Once cooked it kept the tortillas warm for a good while, well until they were eaten anyway! They didn't dry out and the dish is ideal to take straight from oven to table. Pop over and take a look at the rest of the International/Mexican cooking range KitchenCraft has to offer. It's a great website which is very well presented and is full of must have cooking bits and bobs. You can see a couple of other products I recently reviewed here. Disclaimer: I was send these items for the purpose of this review. All opinions and thoughts are my own. I was not required to write a positive review. Oooh! Looks very much the same as an Indian chapati or roti press, mum has an old one from India I think! I've got a tortilla press and have to hang my head in shame as I tend to buy them. I know it's easy, but I like bigger tortillas, so I tend not to use it. They look fab! Just like proper ones! 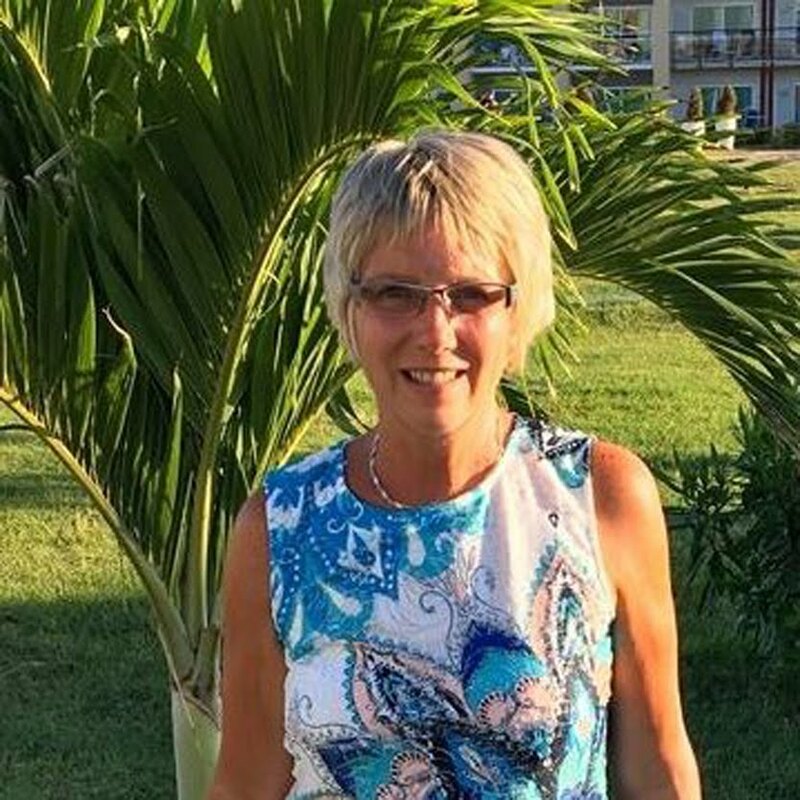 I dont know if I could be bothered going through the effort!